Rocket Matter Knowledge Base Matter TemplatesWhy can't I link an activity in my matter template? Matter template events and tasks can be linked to create cascading activities. If you are unable to link a parent activity to an event or task, it is likely that your parent activity has not yet been designated as a milestone. Designating your event or activity as a milestone will enable other activities to be linked. 1. 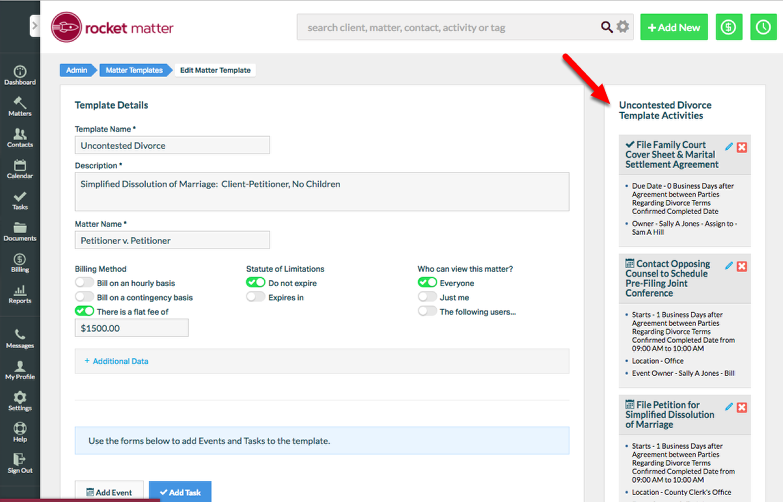 Navigate to the edit matter template screen, and view the template activities. 2. 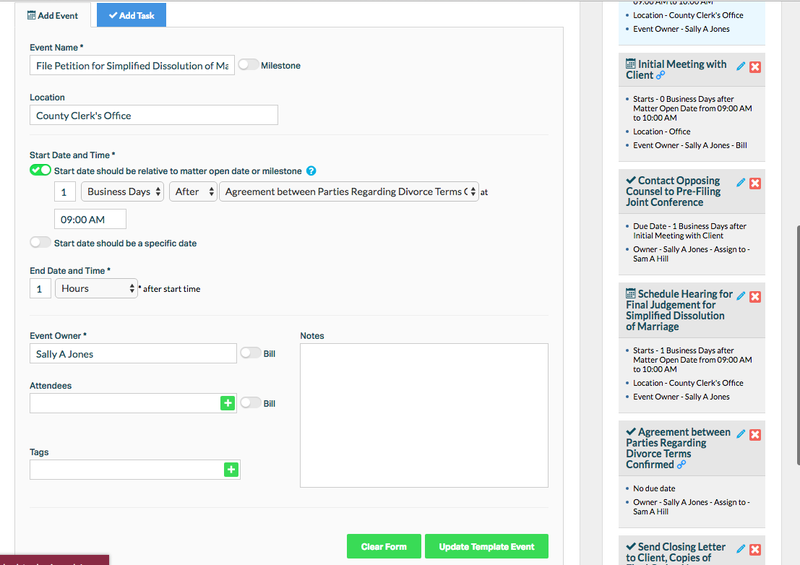 Select the desired 'Parent' event, and click the pencil icon to edit the item. 3. 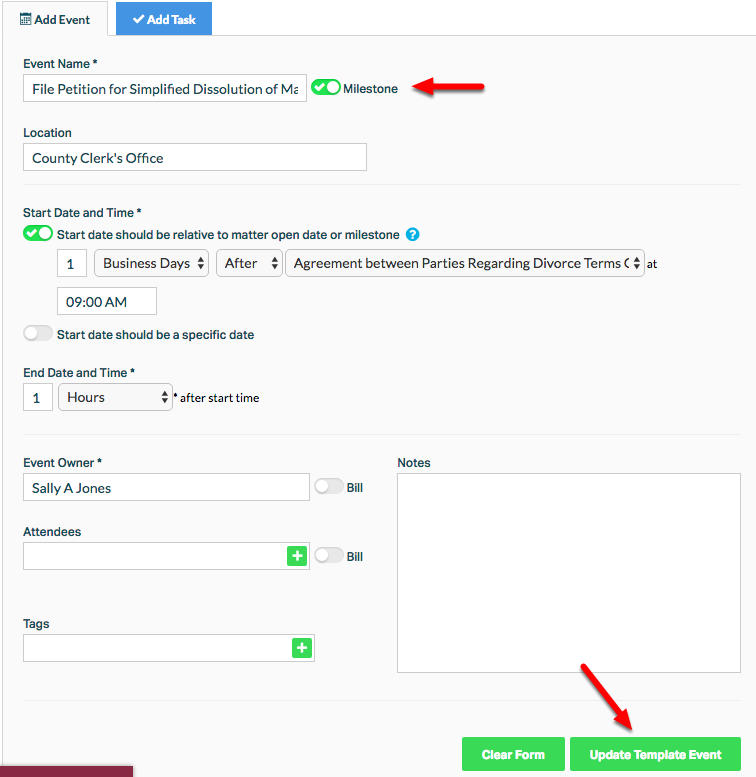 Scroll down to view the "Add Event" or "Add Task" window. Activity details will be displayed. Zoom: 3. &nbsp;Scroll down to view the &quot;Add Event&quot; or &quot;Add Task&quot; window. &nbsp;Activity details will be displayed. 4. Select "Milestone" checkbox, then click "Update Template Event". Prev: How to edit a matter template. 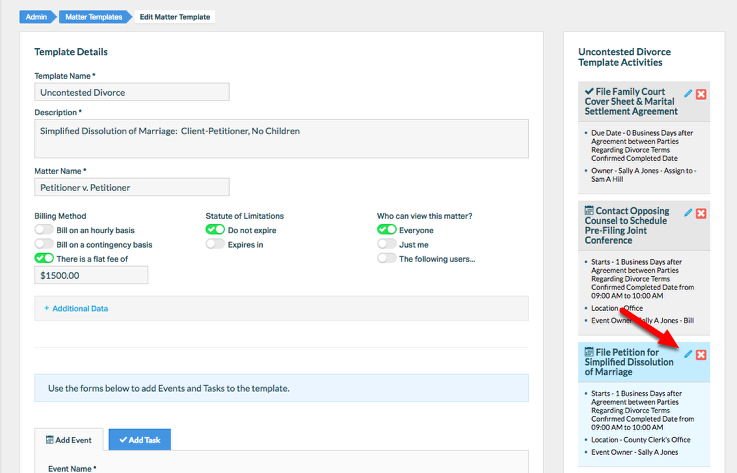 Next: How to edit an event or task on a matter template.